My husband and I belong to the volountary therapy dogs organisation, Paws for People. Shado received both obedience and therapy dog training at a very young age. He easily passed his initial therapy assessment and has been working with Paws for People ever since. However, Paws have strict health requirements for all the dogs, so an itchy, scaly skin was not acceptable. Shado appears to be prone to hot spots in the summer months. 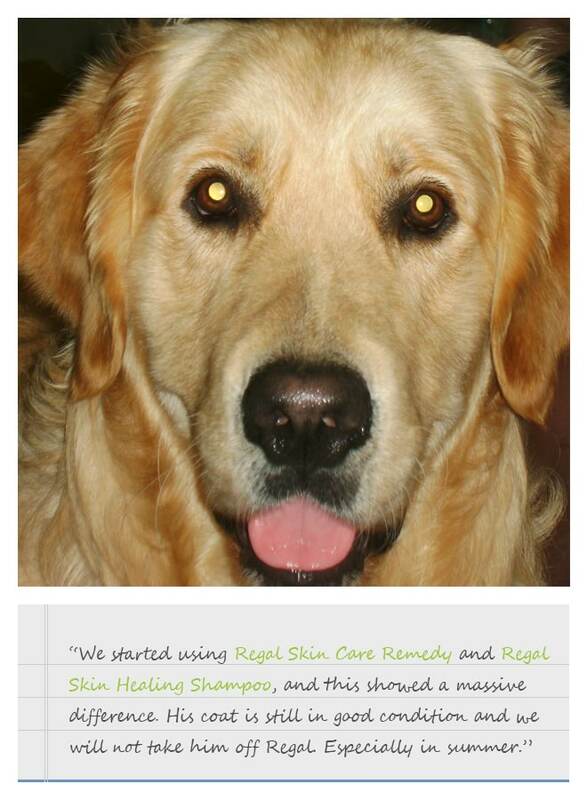 We started using Regal for Sensitive Skin Care Remedy and shampoo for him as well. This soon showed a remarkable difference and lessens the frequency of hot spots developing. Shado works as a therapy dog. He works with my grandson, Ivor, at various facilities. Currently they work as a team at a children’s home and a home for the elderly. 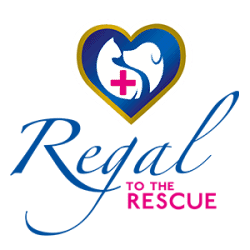 His coat is still in good condition and we will not take him off Regal. Especially in summer.